Hot Diggity Dog! 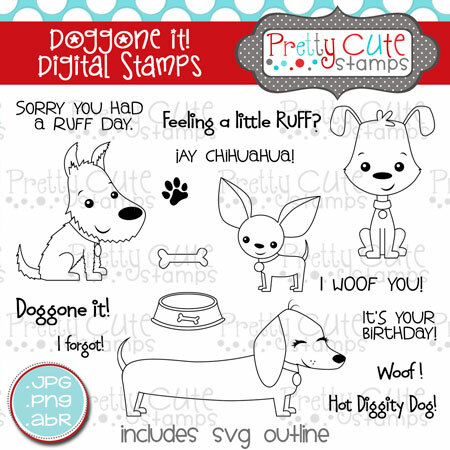 Dog lovers will love this set!�This DIGITAL�set of 16 stamps features four sweet dogs with accessories and sentiments to match. Sorry You Had a RUFF Day.